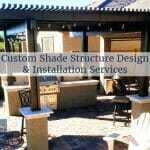 Shade Structure Installation in Phoenix | Edgewater Design Co.
One constant reality of Arizona living is that staying out of direct sunshine will significantly improve your outdoor experience – especially during those hot summer days. To combat the sun, while also improving the aesthetics of their backyard’s, many Southeast Phoenix Valley residents depend on Edgewater Design Company to design and build custom shade structures, from pergolas to lattice that are beautiful, durable and functional. Actually get to enjoy your backyard with a newly design shade structure by the East Valley’s premiere firm, Edgewater Design Company! Call us at (480) 389-7114 today! For many years, residents of Chandler, Gilbert, Ahwatukee, Queen Creek and Tempe have worked with Edgewater Design Company for their full-service landscaping design, construction and maintenance services. The passion we have for quality in every aspect of our business has allowed us to thrive and grow, with very little advertising – while others struggle to keep their doors open. The attention to detail, and our trademark proven process for completing any project allows our team to take your vision from concept to reality. Choosing the right material and design of shade structure is one of the most difficult decisions you’ll initially make. However, when you work with EDC, you not only will have peace of mind knowing that the project will be completed correctly – primarily due to our proven three-phase process. Design Consultation: The first step in any project we undertake at EDC is to meet with every client during our initial free design consultation. This meeting allows you to openly discuss your vision, goals, objectives and budget for the shade structure project you are considering. It also allows you the chance to ask us any questions or bring up any concerns, hurdles or objectives you might have. Beginning any business relationship with open and transparent communication is a great way to establish a solid working relationship – and is a trademark of EDC. 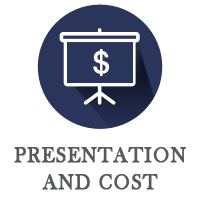 Presentation and Cost: Once we’ve met, we’ll take a few days to review and come up with an initial concept and working budget for your shade structure project. 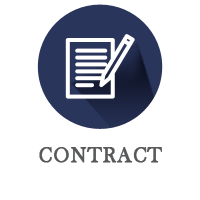 We will contact you with any questions we have during this phase and ensure we are on point before presenting you with the primary project outline. 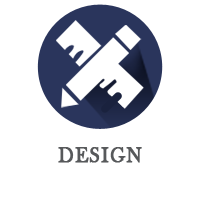 After we fine tune details and agree to terms, we’ll initiate the design process. Whether you’re considering building a new shade structure or including one in a whole backyard remodeling project – we’d love to discuss options with you. If you would like to learn more about the shade structure design and construction services in Phoenix, and to receive an estimate or set up a free design consultation, contact us today.